PROTECTS YOUR VALUABLES & IDENTITY - Conceals cash, credit cards & other valuables from pickpockets. 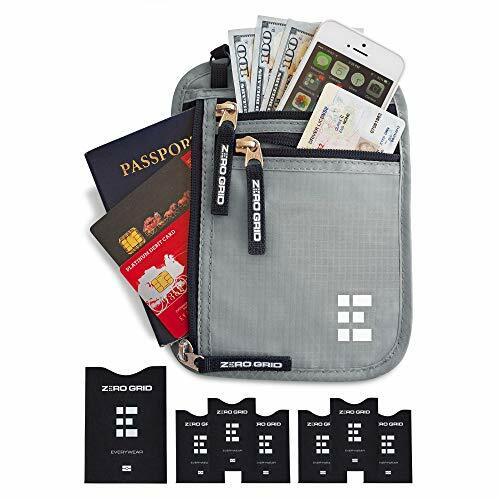 Built in RFID Blocking safeguards your passport, credit cards, and personal information against identity theft. 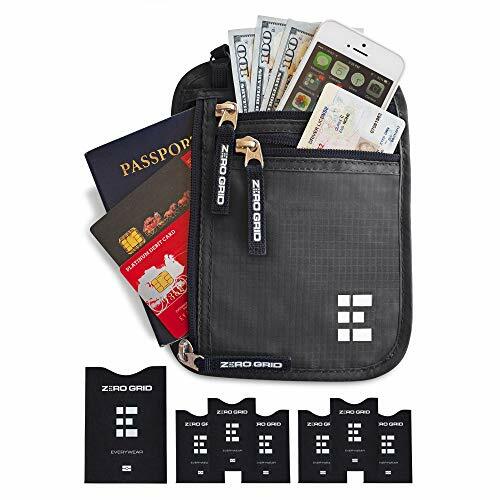 BONUS GIFT - 7 RFID Blocking Sleeves for your ultimate peace of mind (6 Credit Card & 1 Passport) - use when your passport or credit cards aren't inside the neck wallet. 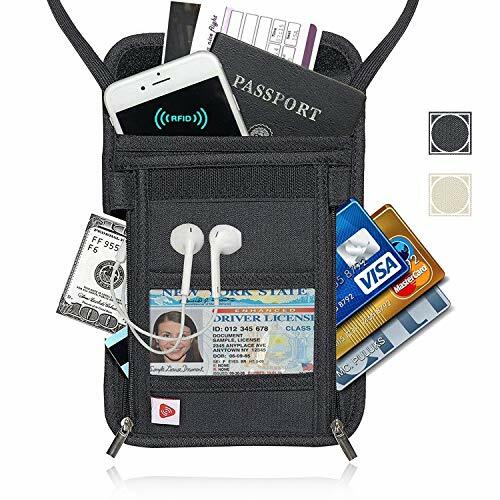 DESIGNED FOR SAFE INTERNATIONAL TRAVEL - Invaluable for crowded marketplaces, airports, buses, trains, sporting events and music festivals. 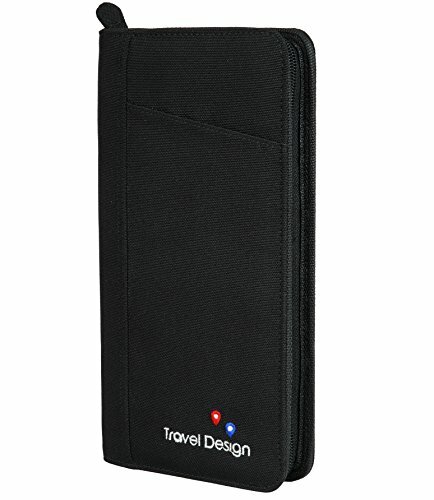 Passport holder is virtually invisible to thieves, feel secure in any environment. 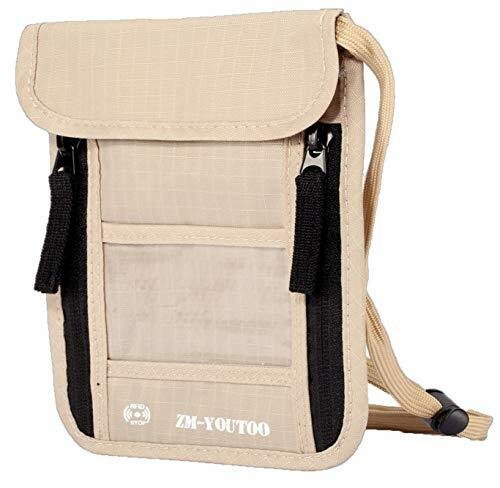 COMFORTABLE & VERSATILE - Constructed from ultra-lightweight, water-resistant 210D Ripstop Nylon. 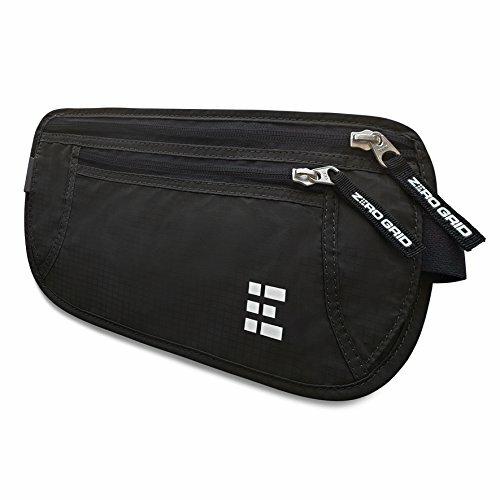 Breathable, moisture-wicking back eliminates uncomfortable moisture and heat. 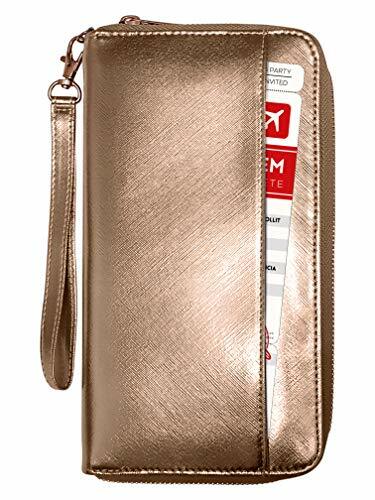 Wear beneath clothing, around the neck or securely fastened to belt. 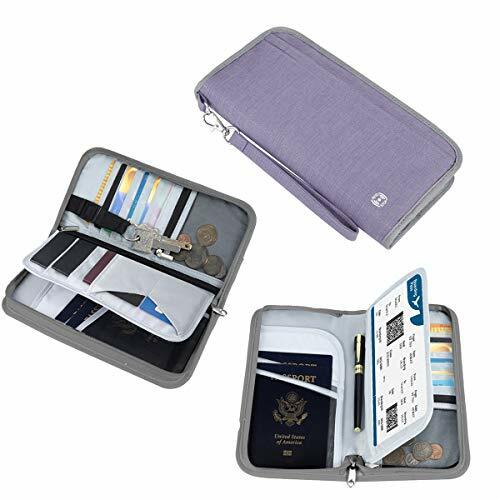 MORE SPACE TO FIT EVERYTHING - Two zippered security compartments fit cash, passports, boarding passes, credit cards, and all the new smartphones. 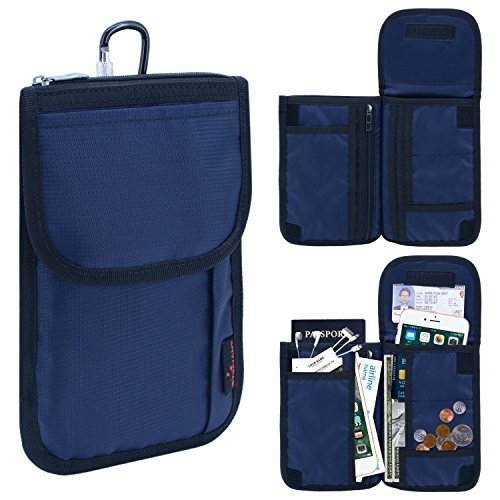 Inner slim pockets organize your valuables and quick-access carabiner clip secures your keys/usb drives. 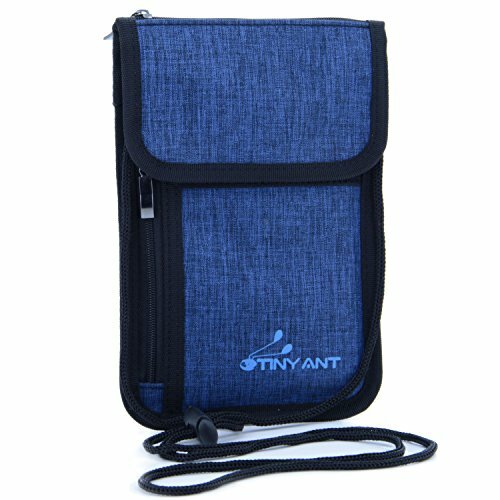 BUY NOW WITH CONFIDENCE - 100% LIFETIME MONEY-BACK GUARANTEE - BUY 2+ NOW for Discounts up to 25% OFF. 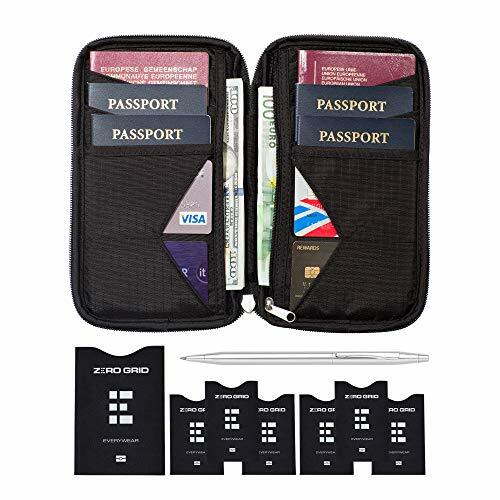 PERFECT DESIGN FIT 5 PASSPORTS: The passport holder (Size: 10 x 5.2 x 1.2 inches) designed with an interlayer, comes with many pouches, such as passport pockets, credit card slots, a zipper mesh pocket for coins, a large internal zipper pocket for cash, a large transparent compartment for flight tickets, a large wing pocket, a pen holder, a removable key chain. 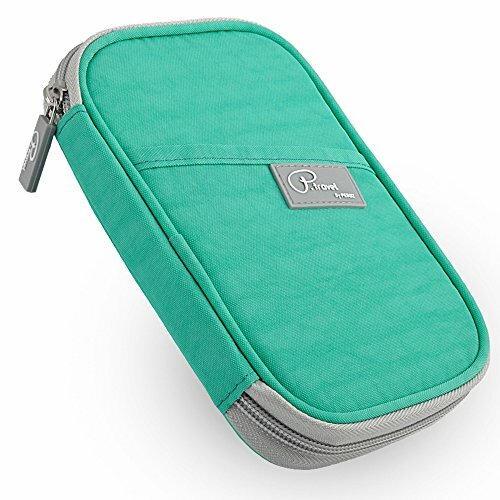 Large capacity which can store your travel essentials in a space-saving way. SAFE & SMART TRAVEL - Our passport holder is perfect for the whole family. 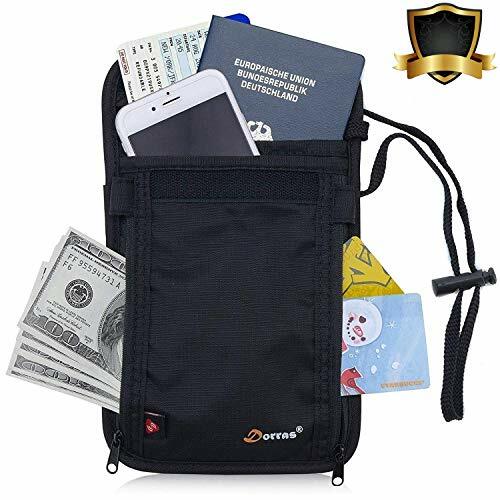 It can be used by both men and women either traveling by car, bus, train, airplane or in crowded marketplaces, festivals, sporting events. Secures everything in one place. DURABLE MATERIAL - Made with high quality-nylon and premium zippers, this sturdy lightweight organizer fits nicely in your backpack or hand luggage. 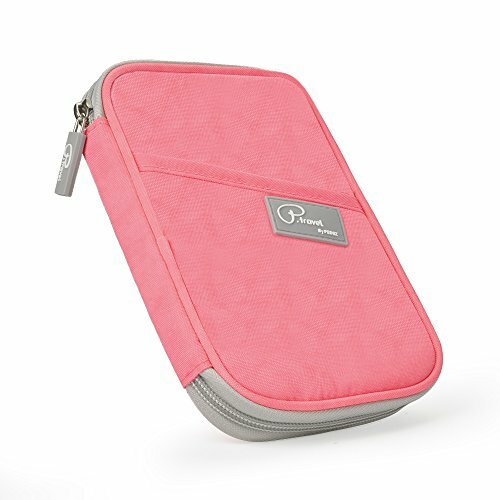 Suitable for all-weather protection with water-resistant fabric. 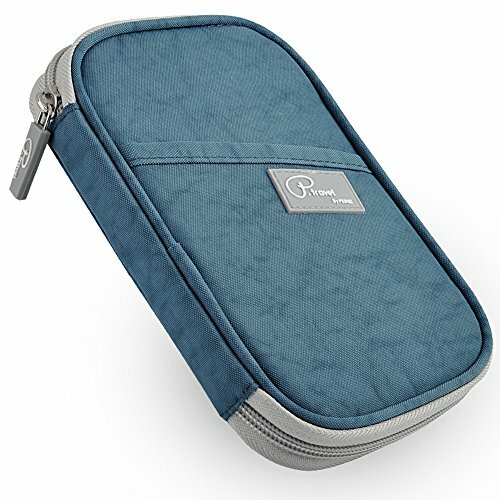 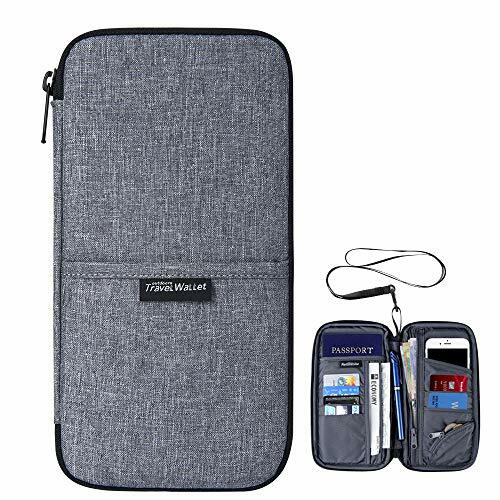 FLEXIBLE ORGANIZATION - This travel essentials case can carry 4 passports, 7 credit cards, boarding passes, tickets, money, coins, a pen, earphones, memory / SIM cards, mobile phone, driver's license / ID, e-reader plus other small objects. 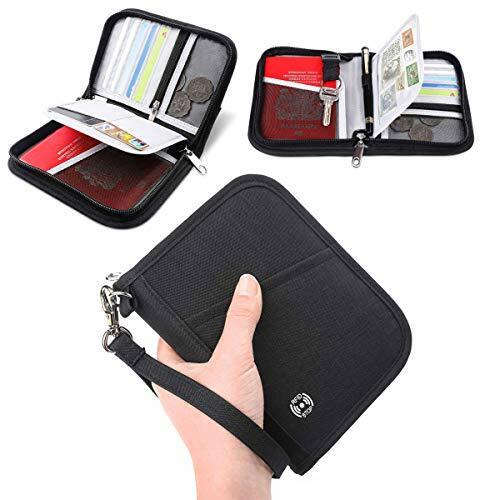 SAFEGUARDS YOUR IDENTITY & VALUABLES - By placing your IDs, passports and credit cards inside this travel wallet, you will protect your money and identity thanks to the built-in RFID Blocking material. 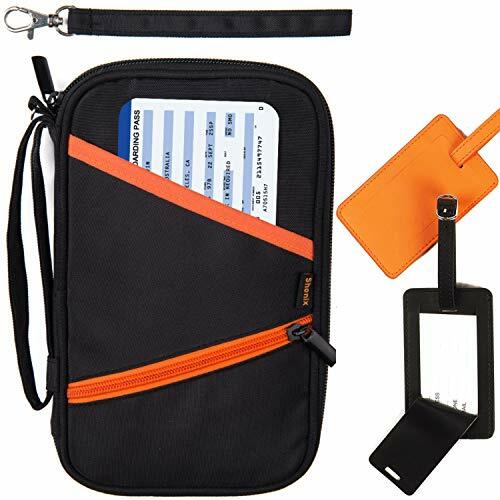 BONUS GIFT - A detachable wristlet and 2 luggage tags - have your documents at hand and make your personal luggage stand out. 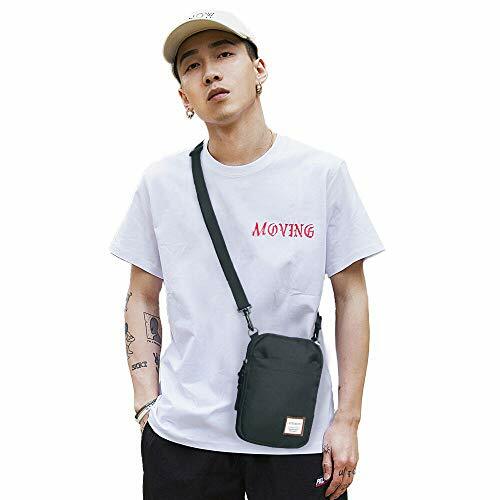 Buy with confidence: 100% Money Back Guarantee. 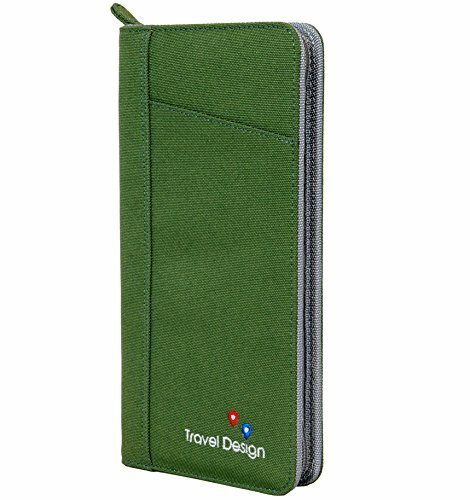 Size 9.5 x 5.6 x 1 inches. 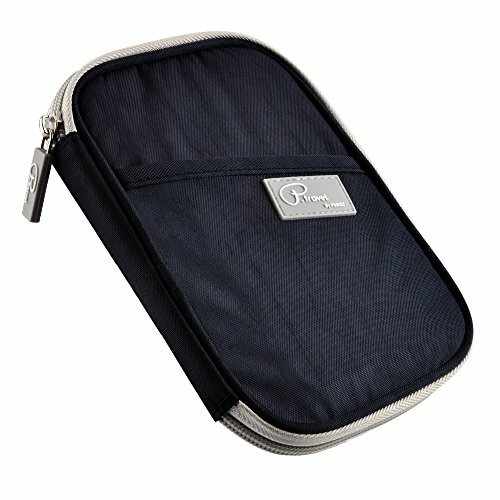 <b>[SUPERIOR QUALITY & KEEP VALUABLES DRY & COMFORTABLE]</b> - Made of ultra-lightweight,water resistant,high quality nylon martial.It is soft against your skin and effectively block the water outside,keeping internal items dry.The breathable mesh on the back will reduce the heat,eliminating the uncomfortable feeling other wallets have against your skin. 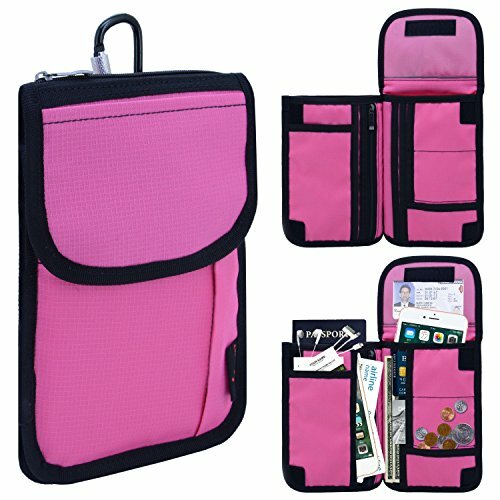 <b>[AMAZING CAPACITY TO ORGANIZE ALL YOUR TRAVEL ESSENTIALS]</b> - With 18 different size compartments,they safely conceal and store your personal belongings,such as Cell Phones(below 6 inches),Multiple Passports,Travel Documents(Itinerary,Boarding Pass,Air Tickets etc),Bank/Credit Cards,ID,Cash,Coins,Keys,Medication,First Aid,Gum,Pens and more.This is what you want if you are looking for a travel wallet keeping everything securely in one place. 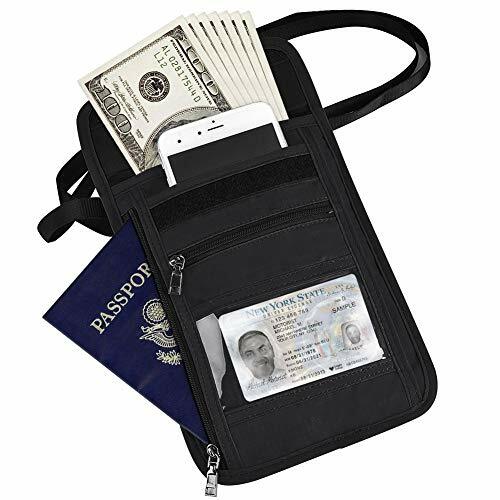 <b>[KEEP YOUR VALUABLES & IDENTITY FROM PICK-POCKETING]</b> - Hiding the travel wallet under garment,stash cash,bank cards & other valuables from pickpockets.Inside laced RFID blocking fabric safeguards your passport,credit cards,ID and personal information against electronic pick pocketing and identity theft.TRAVEL ABROAD WITHOUT CONFIDENCE? 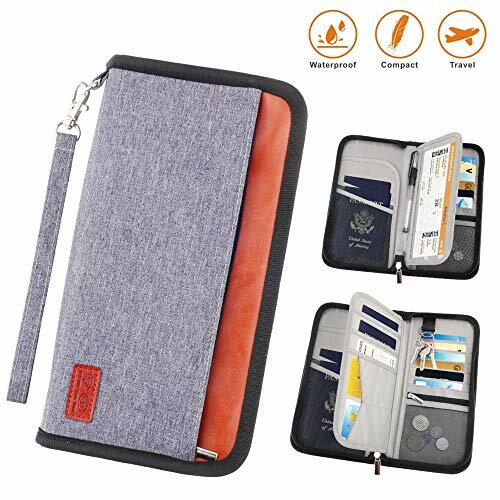 With this RFID BLOCKING PASSPORT WALLET,You don't need to worry about electronic pick pocketers any more. 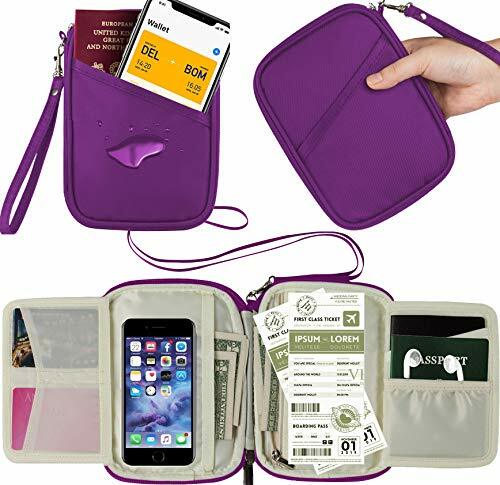 <b>[MULTIPLE WAYS TO WEAR & CONVENIENT/PORTABLE FOR TRAVEL]</b> - The Multipurpose Passport Pouch comes with a Removable & Adjustable Strap and a Metal Hook with Locking Function.Both Men and Women can wear it Around The Neck,Crossbody or Attach it securely on your Belt or Backpack.Awesome for crowded marketplaces,airports,bus and train stations,sporting events or kinds of festivals.Hidden under the clothes and virtually invisible to thieves,being secure in any environment. 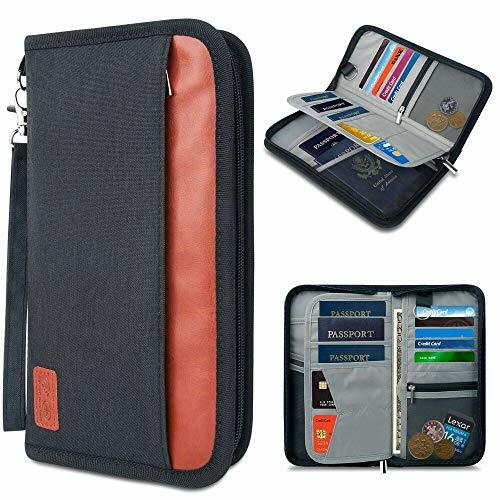 <b>[UlTRA SLIM & LIGHTWEIGHT & SUPERIOR QUALITY]</b> - Dimension of this Neck Passport Pouch is:Appr. 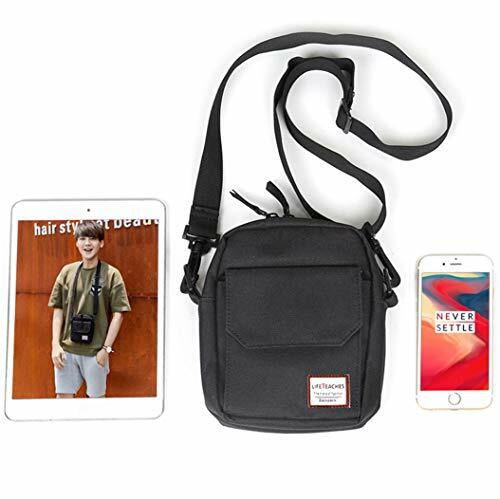 5.3inch(L) x 0.1inch(W) x 7.9inch(H),Weight:Appr. 0.18lb.Made with ultra-lightweight,water resistant 300D nylon martial.It is soft against your skin and effectively block the water outside,preventing the water to damage internal items.You can simply wear it over your shoulder,around your neck or under your clothing. <b>[KEEP YOUR VALUABLES & IDENTITY FROM PICK-POCKETING]</b> - Hiding the neck wallet under garment,stash cash,bank cards & other valuables from pickpockets.Inside laced with RFID blocking fabric safeguards your passport,credit cards,ID and personal information against electronic pick pocketing and identity theft. 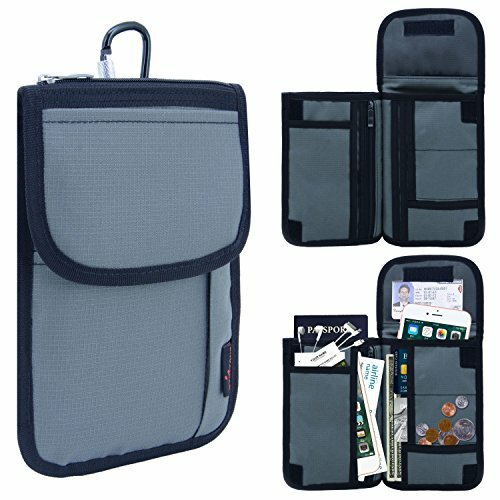 <b>[MULTIPLE COMPARTMENTS ORGANIZE ALL TRAVEL ESSENTIALS]</b> - With 6 different size compartments,they safely conceal and store your personal belongings,such as phones (below 6 inches),passports,travel documents (itinerary,boarding pass etc),bank/credit cards,ID,cash,coins,keys,medication,first aid,gum,pens and more.Keep everything secure in one place.Soft adjustable neck strap fits both Men and Women. 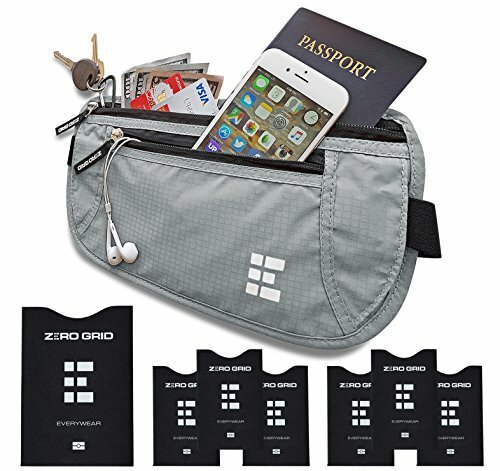 <b>[CONVENIENCE & PORTABLE FOR TRAVEL]</b> - Awesome for crowded marketplaces,airports,bus and train stations,sporting events or kinds of festivals.Hidden under the clothes and virtually invisible to thieves,being secure in any environment. 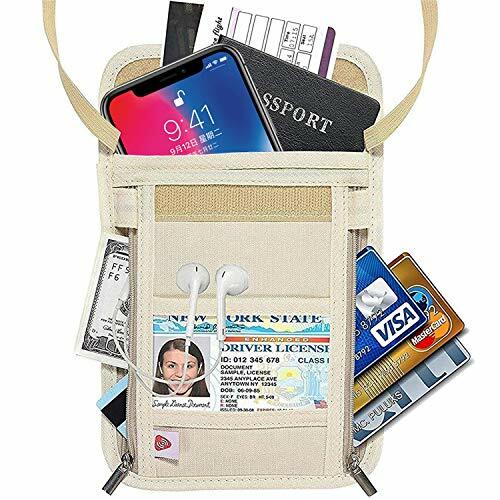 <b>[BUY NOW & SAVE MONEY-100% 30 DAYS MONEY-BACK GUARANTEE]</b> - Up to 20% off when you order more than 1 of this Travel Neck Pouch.Please see the [Special offers and product promotions],just enter the coupon code when making payment and you will get it. PROTECTS YOUR VALUABLES & IDENTITY - Made of durable and water-resistant nylon, our neck wallet conceals cash, credit cards & other travel documents from pickpockets. RFID Blocking lining protects passports, credit cards, and personal information against identity theft and electronic pickpocketing. 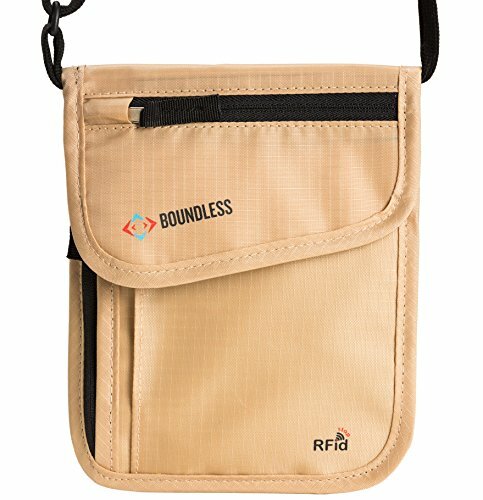 SAFE INTERNATIONAL TRAVEL WITH RFID PROTECTION - Perfect for crowded sporting events, buses, airports, camping, cruises, and even music festivals. 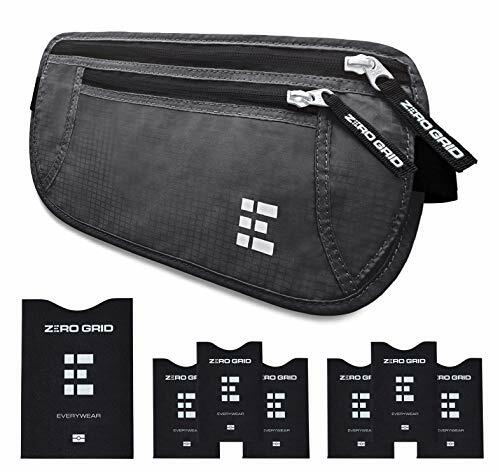 Because it is undetectable to thieves, you will feel secure in any environment. 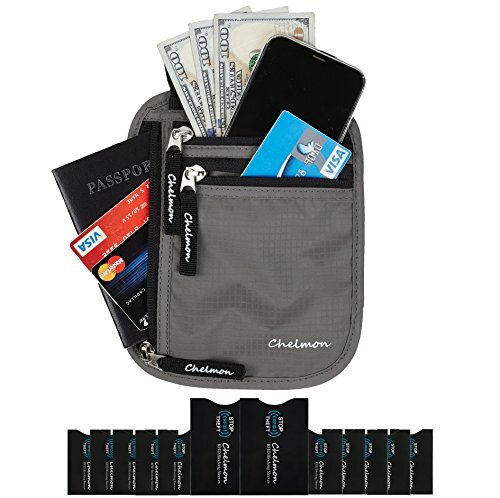 COMFORTABLE AND FUNCTIONAL - At 7" tall and 5.5" wide, our wallet is comfortable and lightweight. 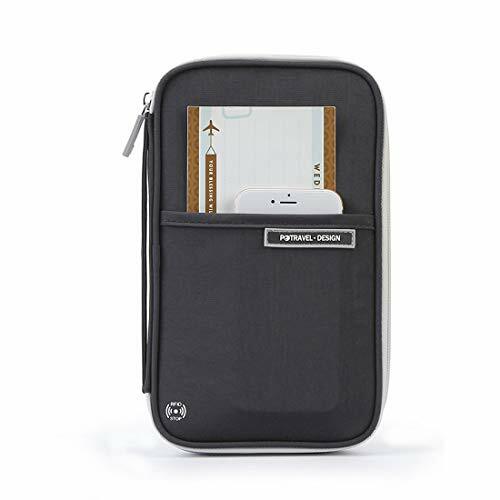 Breathable material eliminates the uncomfortable feeling other wallets have against your skin. 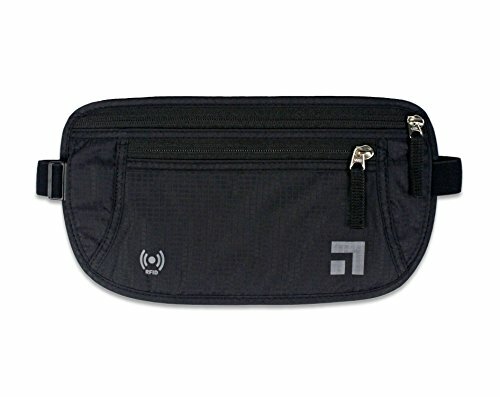 Soft adjustable neck strap fits men and women. 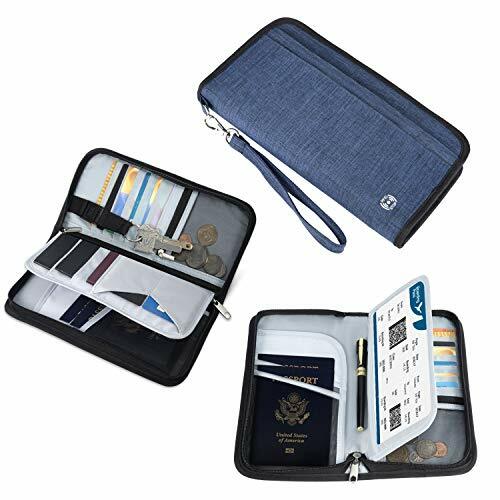 FLEXIBLE STORAGE & ORGANIZATION - Keep passports, identification, and documents separate and secure! 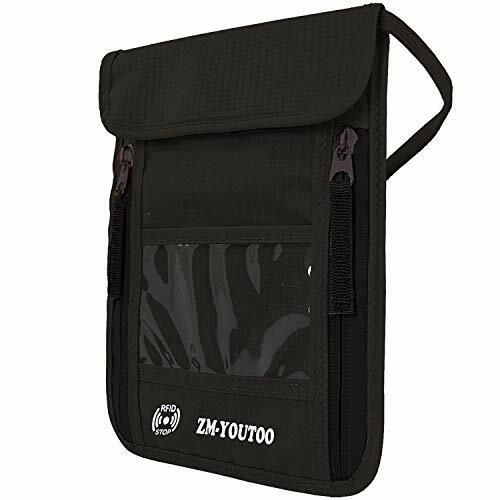 Includes 5 pockets so you can keep all of your belongings in one place. 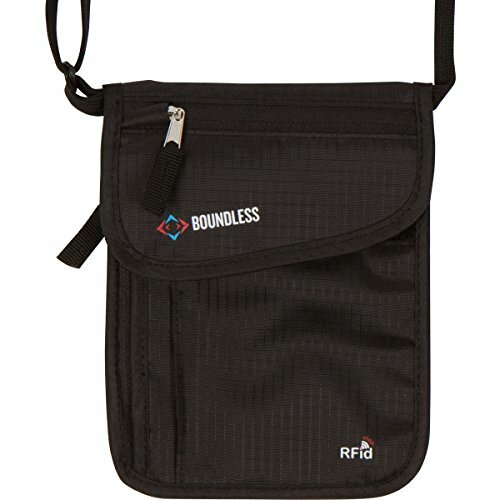 BUY CONFIDENTLY - 365 Day Money-Back Guarantee! 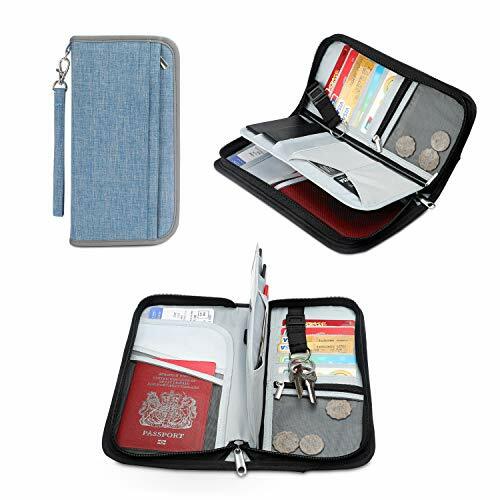 If you are not happy with your purchase, simply return your wallet and we will provide you with a refund.